Click Site Actions and choose ‘Edit Page’. In one of the Web Part zones, click ‘Add a Web Part’. It does not matter where it is added unless you plan on embedding Vizit Essential into the page. 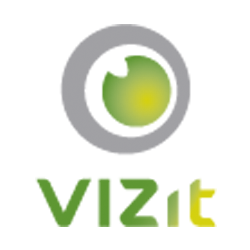 Choose the Vizit Web Part which can be found in the Vizit Category. Click on the ‘Vizit Web Part Menu’ in the upper right corner of the Web Part. Click on the ‘Advanced’ checkbox, then the ‘Customize’ button. // your settings go here. Once any properties have been set, click either OK or Apply and exit Edit Mode. Choose the Content Editor Web Part which can be found in the Media and Content Category. Click the area within the Content Editor Web Part that says ‘Click here to add new content’. In the Format Text tab in the Ribbon, expand the HTML drop down in the Markup Ribbon Group and choose ‘Edit HTML Source’. Once the script block has been created and any properties have been set, click OK and exit Edit Mode.